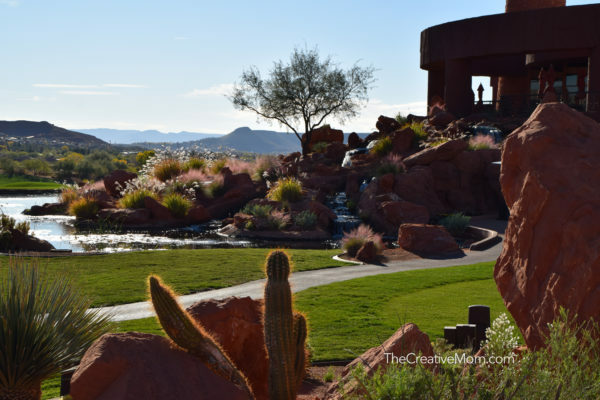 If you are wondering where to stay in Southern Utah, you need to look at The Inn at Entrada. It is our favorite place to stay! 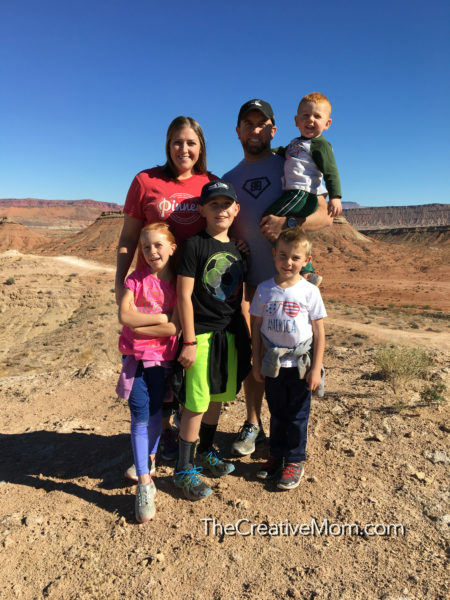 If you’ve been following along with me on Instagram, you know how much we love to explore, play, and travel with our kids. 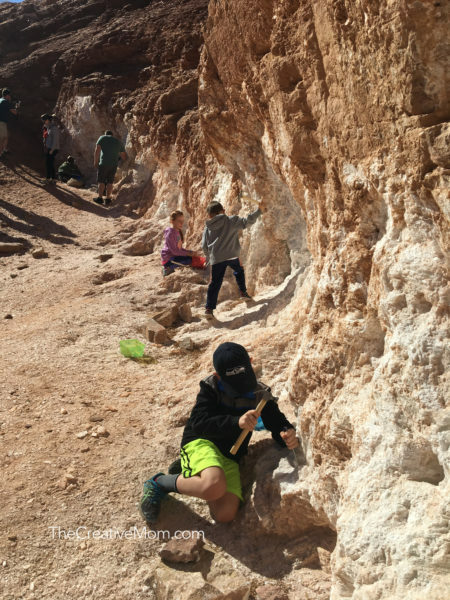 One of our favorite things to do is hop in the car on a cold, gloomy day and drive South to the sunshine of St. George in Southern Utah. 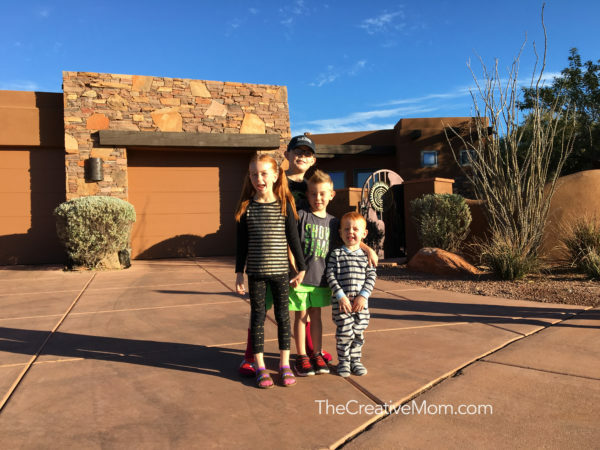 Our favorite place to stay is at The Inn at Entrada. My kids have affectionately named it “Our Inn”- as in, they think it’s actually OUR inn- haha! We have stayed here before, and we will definitely be back again! 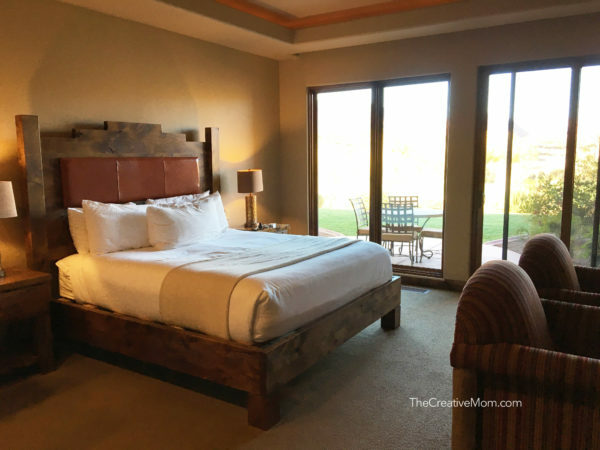 We love The Inn at Entrada because it really feels like home- except a thousand times nicer, and someone comes and makes your bed for you! But it is so comfortable and nice that we feel right at home staying here. We always book a 3 bedroom Casita, which is basically our own little house. It is so nice to have our own place and not share walls with any neighbors- especially when we get rowdy playing Ticket to Ride (our favorite game ever). Our kids love having their own bathrooms, and it makes the stay so much nicer when we aren’t sleeping like sardines, right next to each other. 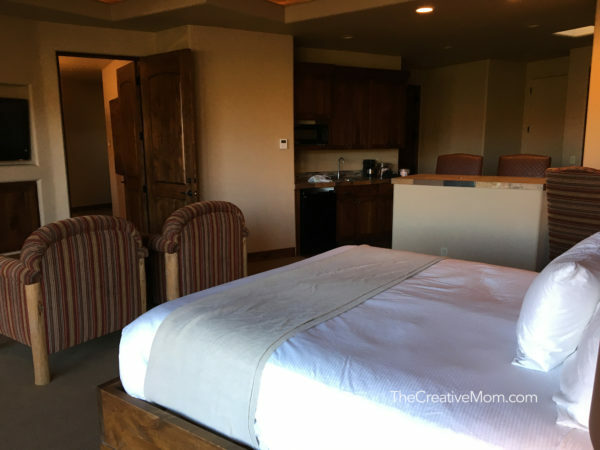 My husband and I love that the master bedroom in the 3 bedroom Casita is pretty much it’s own master suite! We love the jetted tub, the sliding door onto the patio, and the little breakfast nook. We spent a lot of late nights watching movies and playing games after the kids went to bed. And did I mention someone else made the bed for us! 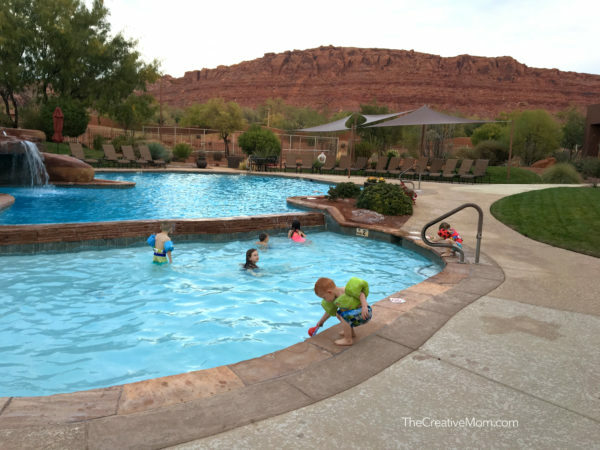 The first thing we do every time we get to the Inn at Entrada is go SWIMMING!!! 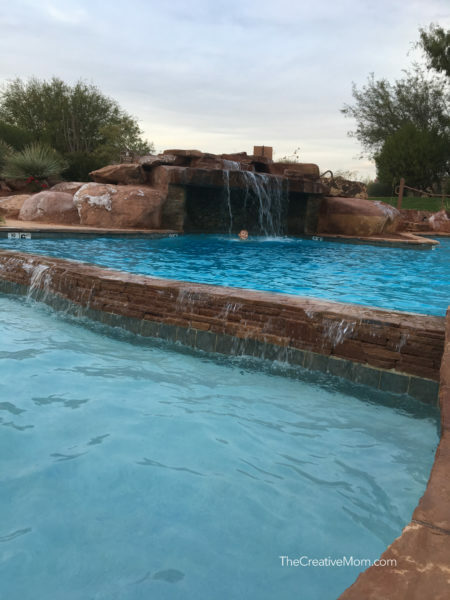 My kids are obsessed with the cool pool they have here. You can swim under that waterfall and sit on a cute little bench back there. 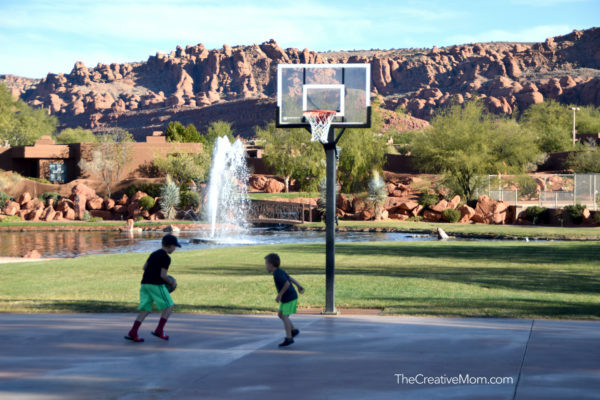 My boys also love all the sports courts they have available. 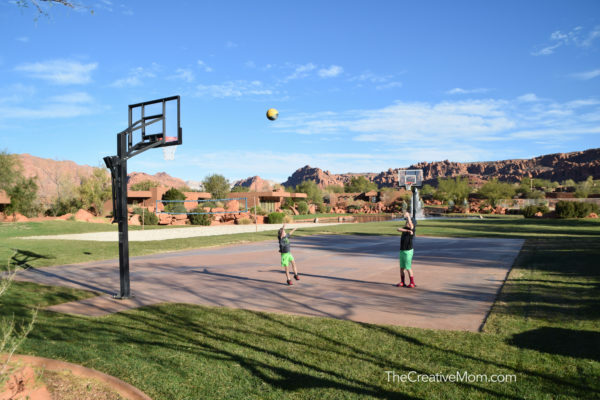 They have a basketball court, tennis courts, sand volleyball, and pickleball- we never did try pickleball, but it is on our list for next time! And can you even believe this view from the basketball court!!! It is amazing! And speaking of views! Holy cow, you guys! This is the view off of the back porch. We love this place!! We were right on the golf course, which was so cool! My husband wished the whole time that he brought his clubs. And this is the view across the street from where we stayed. 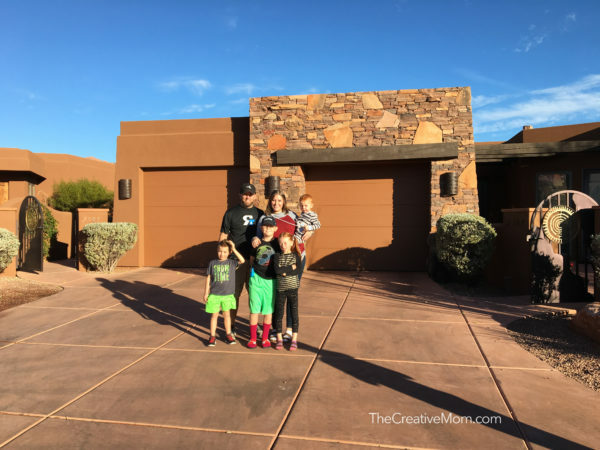 We didn’t go golfing or to the spa, but those are some other things that we will do next time for sure- maybe we won’t bring the kids next time! Haha! 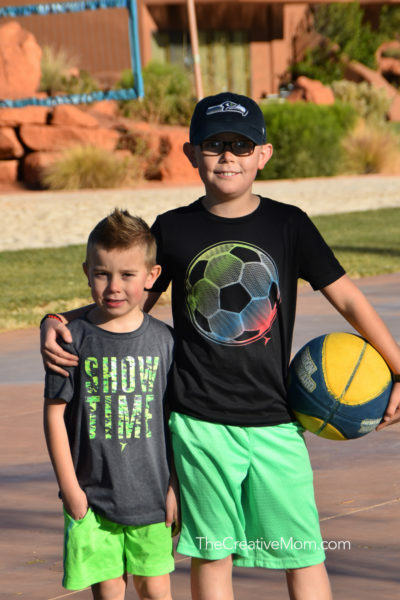 While we were in Southern Utah, we visited the children’s museum, which is so cool! 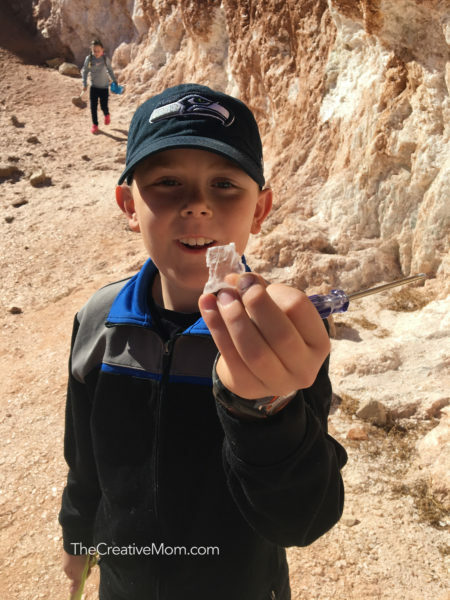 We also went hiking and exploring a ton. We spent an afternoon at Glitter Mountain. If you’ve never been there, you need to google it- it’s so cool! But most of all, we just ate and slept and played games. We laughed until we cried, and sometimes we actually cried- that’s just how family vacations go. 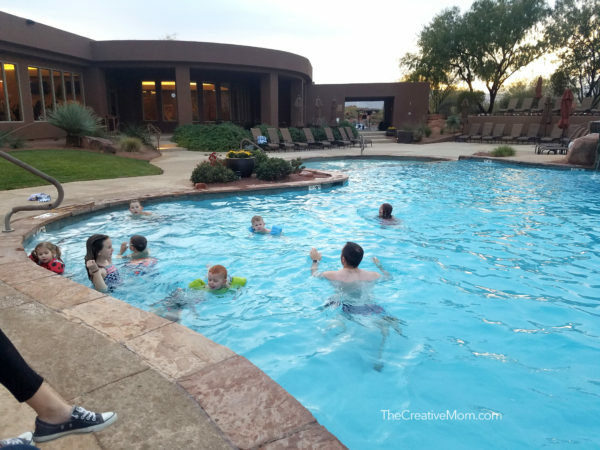 It’s a lot of work to go on family vacations, but having a nice place to stay, where you feel comfortable and are able to make memories is the best gift you could ever give your family. 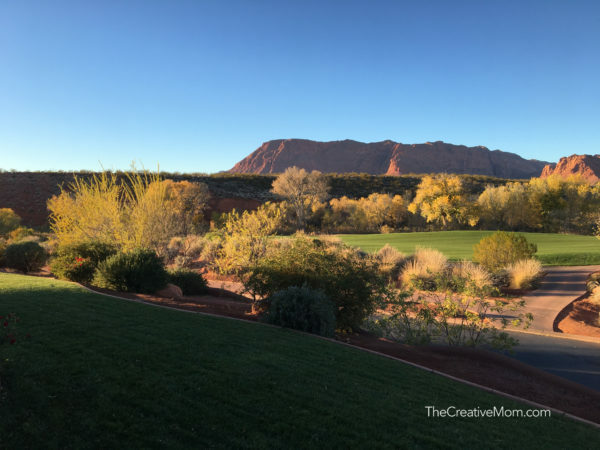 If you are looking for a place to stay in Southern Utah, I would absolutely recommend The Inn at Entrada. 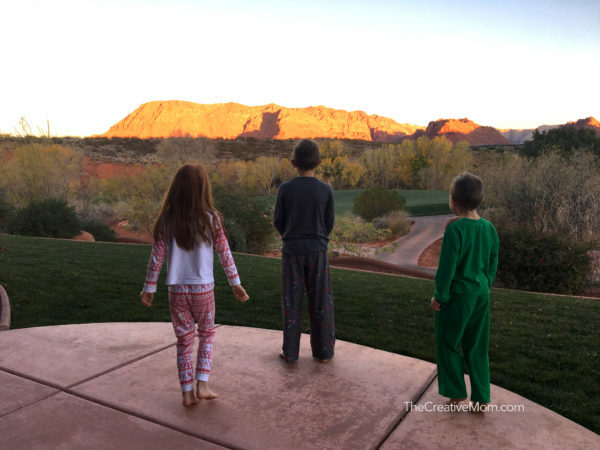 Disclosure: In exchange for this blog post, we were provided accommodations at the Inn at Entrada. However, all opinions, photos, and everything I wrote here is 100% my own. I would never recommend anything I don’t stand behind 100%.